Tourism is evolving as the world's largest industry, generating wealth and employment to every walk of life. India has strong signs of sprouting one of the emerging giants in world tourism. For a successful tourism development, the important factors include product enhancement, marketing, regulations and human resource development among all when a tourist is happy and leaves the country with memorable experiences is the key driver for evolving tourism. India out-stands itself in terms of source for tourism. With the continuous vertical growth, tourism generates employment and earn large amount of foreign exchange in order to stabilize the country’s economic and social development. It also supports in preserving and sustaining the diversity of the India's natural and cultural environments. India is the birthplace of Hinduism, Buddhism, Jainism, Sikhism, and other religions. Collectively known as Indian religions.Indian religions are a major form of world religions along with Abrahamic ones. Today, Hinduism and Buddhism are the world's third and fourth-largest religions respectively, with over 2 billion follower’s altogether, and possibly as many as 2.5 or 2.6 billion followers. Followers of Indian religions – Hindus, Sikhs, Jains and Buddhists make up around 80–82% population of India. Many foreigners are attracted towards India culture and we can see some foreigners dressing themselves in the resemblance of our culture. Some tourists plan their holiday in India so as to attend the Indian festivals. Moreover, there are certain festivals in India which are celebrated by multiple religions. A source from Wikipedia says, few distinguished examples include Diwali, which is celebrated by Hindus, Sikhs and Jains across the country and Buddha Purnima, Ambedkar Jayanti celebrated by Buddhists. Sikh festivals, such as Guru Nanak Jayanti, Baisakhi are celebrated with full fanfare by Sikhs and Hindus of Punjab and Delhi where the two communities together form an overwhelming majority of the population. Adding colours to the culture of India, the Dree Festival is one of the tribal festivals of India celebrated by the Apatanis of the Ziro valley of Arunachal Pradesh, which is the easternmost state of India. Nowruz is the most important festival among the Parsi community of India. Islam in India is the second largest religion with over 172 million Muslims, according to India's 2011 census. The Islamic festivals which are observed and are declared public holiday in India are; Eid ulFitr, Eid ulAdha-(Bakri Eid), Milad un Nabi, Muharram and Shab-e-Barat. Some of the Indian states have declared regional holidays for the particular regional popular festivals; such as Arba'een, Jumu'ah-tul-Wida and Shab-e-Qadar. Christianity is India’s third largest religion with over 23 million Christians of which 17 million are Roman Catholics. India is home to many Christian festivals. The country celebrates Christmas and good Friday as public holidays. Indian food is as diverse as India. Indian cuisines use numerous ingredients, deploy a wide range of food preparation styles, cooking techniques and culinary presentation. From salads to sauces, from vegetarian to meat, from spices to sensuous, from breads to desserts, Indian cuisine is invariably complex. Harold McGee, a favorite of many Michelin-starred chefs, writes "for sheer inventiveness with milk itself as the primary ingredient, no country on earth can match India. Indian cuisine is world famous and is available in most of the countries. Most of the foreign tourists prefer to eat Indian cuisine while exploring India, preferably the famous food of the region. Still, there are many more attributes to discuss on Indian Tourism. We are rich in culture and our diversity is witnessed by many of the countries worldwide. With more foreign tourist arrivals, we can experience a longitudinal growth of our country in economic and social status. The manu guest is equivalent to God' is taken from an ancient Hindu scripture which became part of the "code of conduct" for Hindu society. Atithi Devo Bhava prescribes a dynamic of the host-guest relationship. In 2008, the Ministry of Tourism of India launched a campaign targeted at the local population to educate them regarding good behaviour and etiquette when dealing with foreign tourists. To create the awareness about the effects of tourism and sensitising the local population about preservation of India's heritage, culture, cleanliness and hospitality a popular film actor was chosen to campaign Incredible India. It also attempted to re-instil a sense of responsibility towards tourists and reinforce the confidence of foreign tourists towards India as a preferred holiday destination. The concept was designed to complement the ‘Incredible India’ Campaign. According to spending data released by Visa Asia Pacific 4 in March 2006, India has emerged as the fastest-growing market in the Asia-Pacific in terms of international tourist spending. 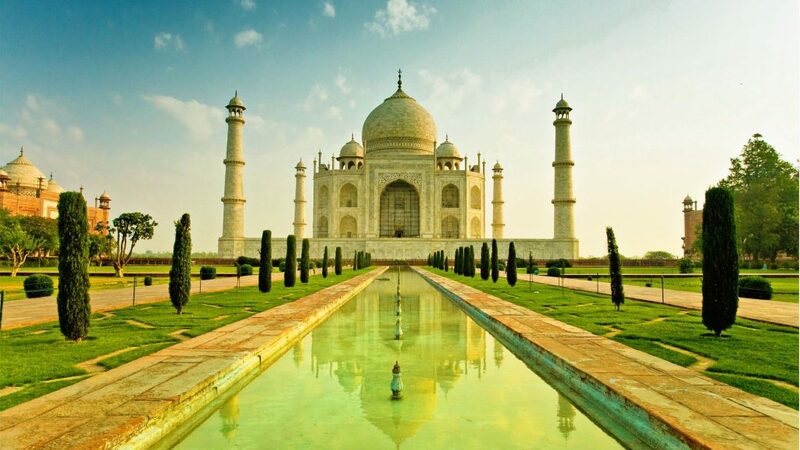 The data revealed that international tourists spent US$372 million in India in the fourth quarter (October–December) of 2005, 25% more than in the fourth quarter of 2004. China, which came second in the region, was successful in making international tourists fork out US$784 million in Q4 2005, a growth of 23% over its Q4 2004 figures. The tourist spending figures for India would have pleased the Indian tourism ministry, which had been targeting the high-end market through its long-running 'Incredible India' communication campaign. KPMG and FICCI released a report titled ‘Expedition 3.0: Travel and hospitality gone digital’ which said the travel and tourism sector is generating 25.9 million jobs and GDP of Rs 141.1 billion. Mobile applications, big data, AI, VR and AR will shape the future of the travel industry. As per the report, India was projected to have accounted for 3.7 % of the global digital travel sales — making it the third-largest market by value in the Asia-Pacific (APAC) region.